Home > Blog > Zola’s Back! Having been on her holiday for a couple of weeks, Zola the Ridgeback is back! She LOVED her walk, and was so pleased to see me and the rest of the pack (esp. Holly & Ivy – she just LOVES my dogs). Doesn’t it look like she’s smiling in this photo? With me today were Holly & Ivy, Zola, Laddie & Meg, Lily, Monty and Juno. 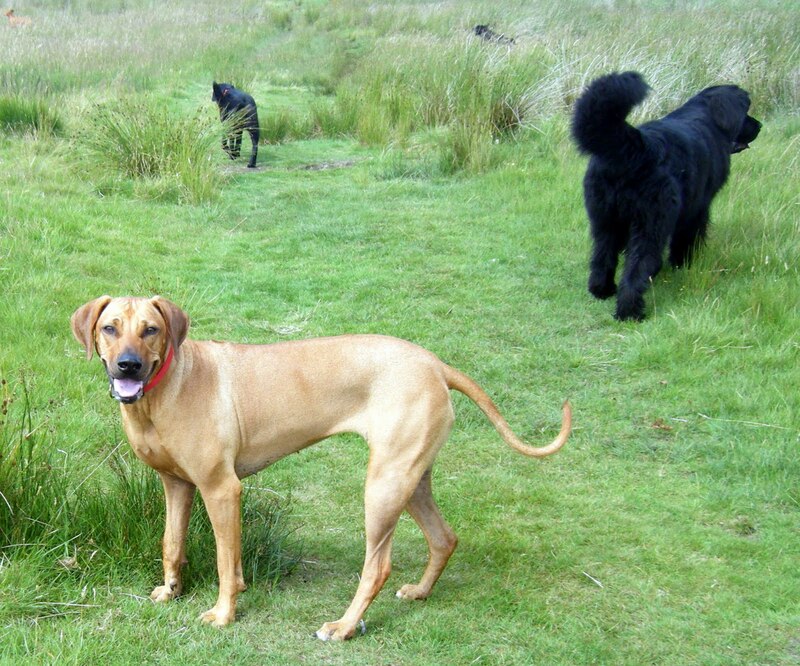 All these dogs get on so well together and love their walks, it is a real pleasure to walk them all.